Pioneers in the industry, we offer exclusive gowns for reception, heavy looks designer gown for parties, special black designer gown, printed gown, exclusive kids gown and designer party wear gowns from India. Evening Party Wear Designer Gown Wholesale Collection ~This Designer Gowns Catalog Have SATIN Fabrics With Heavy Embroidery Work Top. ~Available In Singles and Full Set Both. 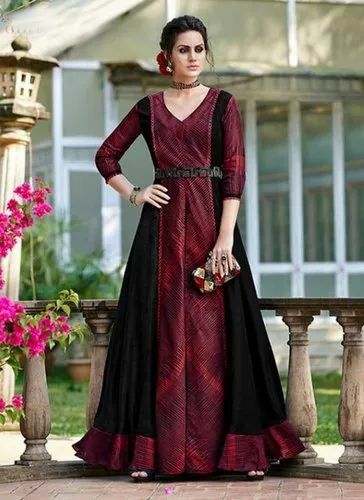 Evening Party Wear Designer Gown Wholesale Collection ~This Designer Gowns Catalog Have PURE SILK Fabrics With Heavy Embroidery Work Top.Its Comes With SANA SILK Dupatta. ~Available In Full Set Only. 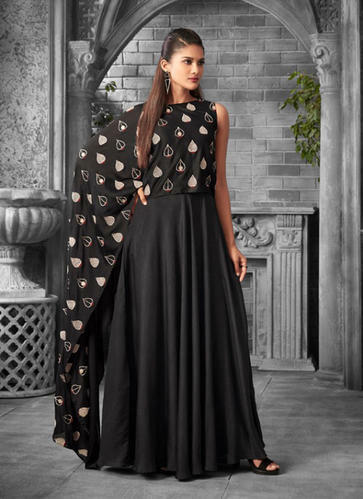 ***Special Black Color Designer Gown Wholesale Collection ~This Designer Gowns Catalog Have CHIFFON Fabrics With Heavy Embroidery Work Top. ~This Designer Gowns Catalog Have VISCOSE CHANDERI Fabrics With Printed Work Top. 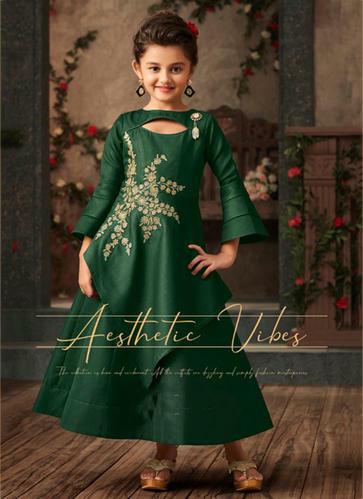 ***Exclusive Kids Gown ~This Designer Gowns Catalog Have SATIN Fabrics With Heavy Embroidery Work Top. Evening Party Wear Designer Gown Wholesale Collection ~This Designer Gowns Catalog Have MUSLIN SILk Fabrics With Heavy Embroidery Work Top. 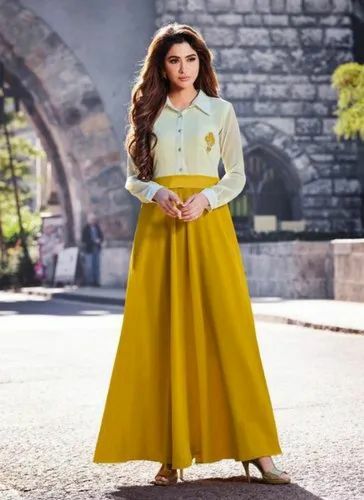 Evening Party Wear Designer Gown Wholesale Collection ~This Designer Gowns Catalog Have MUSLIN VISCOSE Fabrics With Heavy Embroidery Work Top. 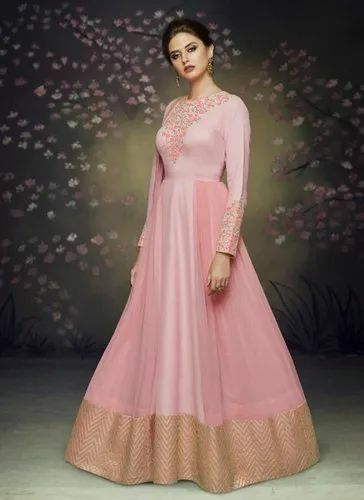 Evening Party Wear Designer Gown Wholesale Collection ~This Designer Gowns Catalog Have SEMI GEORGETTE Fabrics With Heavy Embroidery Work Top. Evening Party Wear Designer Gown Wholesale Collection ~This Designer Gowns Catalog Have SATIN SILk Fabrics With Heavy Embroidery Work Top. 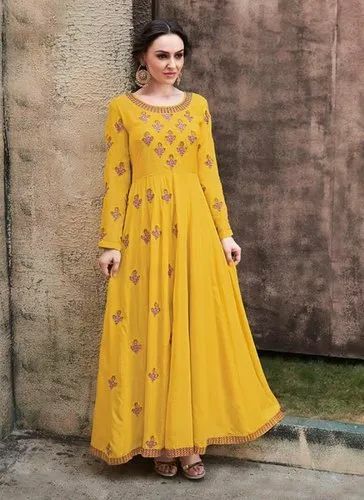 Evening Party Wear Designer Gown Wholesale Collection ~This Designer Gowns Catalog Have RAYON Fabrics With Heavy Embroidery Work Top. Evening Party Wear Designer Gown Wholesale Collection ~This Designer Gowns Catalog Have MUSLIN Fabrics With Printed Work Top. 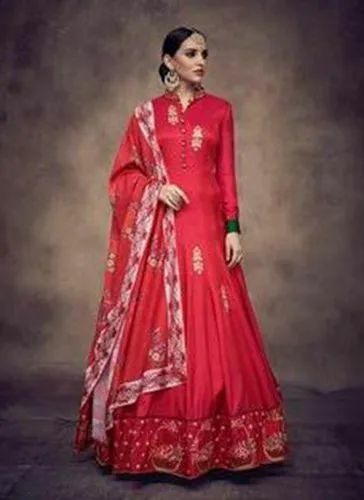 Evening Party Wear Designer Gown Wholesale Collection ~This Designer Gowns Catalog Have RAYON Fabrics Gowns With Dupatta. Evening Party Wear Designer Gown Wholesale Collection ~This Designer Gowns Catalog Have Organza Fabrics With Heavy Embroidery Work Top. Available In Singles and Full Set Both. 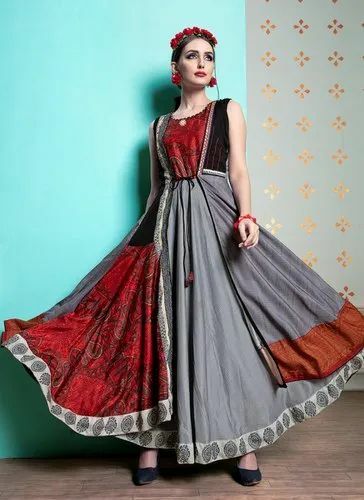 Evening Party Wear Designer Gown Wholesale Collection ~This Designer Gowns Catalog Have LINEN SATIN Fabrics With Heavy Embroidery Work Top.Its Comes With VISCOSE JACQUARD Dupatta. 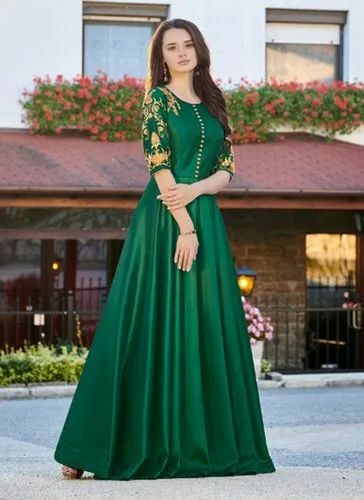 Evening Party Wear Designer Gown Wholesale Collection ~This Designer Gowns Catalog Have TAPETA SATIN Fabrics With Heavy Embroidery Work Top.